Whether you are planning to get one, or you already have a bird pet, you need to make sure that you are treating it right. 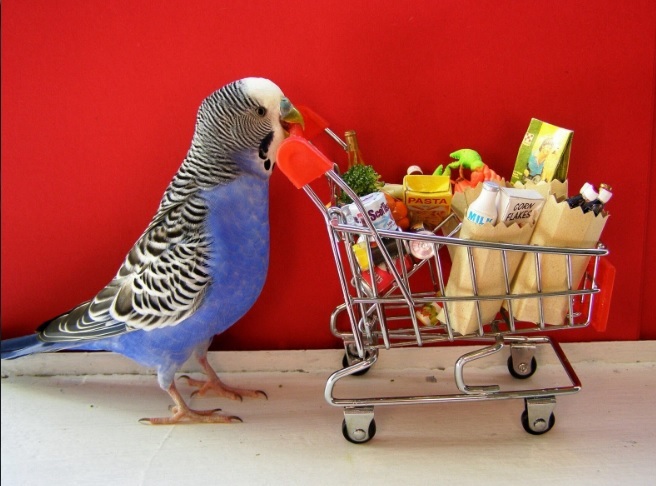 Providing suitable essentials for your feathered friend is vital for its health and happiness. So, here are a few useful guidelines about what you need and why you need it. It doesn’t get more important than food. Pet birds need a specially formulated diet. What this means is that birds need food pellets specifically made for their needs as a base food. As for additional options, you can safely use fresh or dehydrated fruits and vegetables, along with nuts, beans, and cooked brown rice. You should keep your bird away from onions, alcohol (duh! ), avocados, and chocolate. These are all toxic to birds and can be dangerous or even fatal. Second comes the cage. The bigger the cage, the more ideal it would be for your bird. Simply opt for one the largest one you can afford and fit into your home. It should be wide enough to fit the bird with fully extended wings, and high enough to comfortably accommodate birds with long tails. Since your pet bird will probably spend most of its time inside, it is understandable that you should strive to make it as comfortable for the bird as you possibly can. High-quality bird cages are usually made of strong, non-toxic materials that are at the same time easy to clean. In addition, in order for your bird to fully enjoy the time spent in the cage, you need to provide some cage bird supply as well. For instance, bird supply items that are considered essential are water and food bowls, cage liners, perches, toys, bird ladders and bridges. Including a perch or a bridge is necessary because the bird needs to do some activities. One option is to place several perches at different levels so your bird can jump from one to the other. Just make sure you don’t place the perches and bridges too close to the food bowls. If your bird gets too comfortable close to the bowl it may develop an overeating habit or start chewing the ball. When it comes to toys, just have in mind that no pet ever should be left without playthings. They offer stimulation and entertainment as birds love to investigate new colours, textures and overcome different kinds of challenges. And third come supplies that are needed for the purpose of keeping your bird safe and neat. You should get a with a trimmer so that you can take care of its nails. You’ll also need a cage cover so that your bird can rest well at night in complete darkness. Additionally, you should regularly check the condition of all the accessories in the cage, how they are holding up and if they have any damage that may be a potential risk to the bird. And lastly, there is always the option to provide your bird with a companion that will make its day even more fun and versatile.